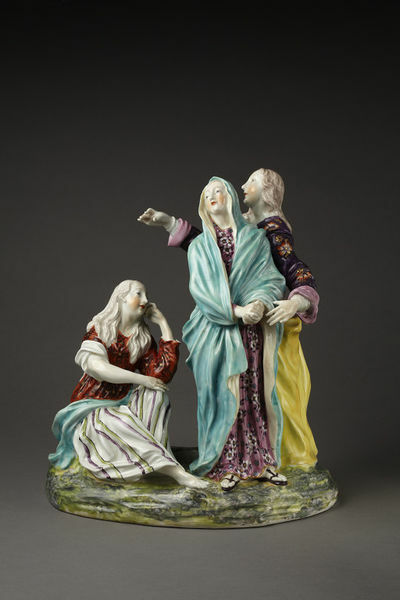 Group, in soft-paste porcelain painted in enamels and slightly gilded, from the Crucifixion (but lacking Christ on the cross), with the Virgin, Mary Magdalen, and John the Evangelist; at the back is a socket for the insertion of a wooden cross, and the Virgin stands with clasped hands, wrapped in a turquoise-blue cloak over a flowered robe, John stands behind her, with his right arm stretched out as a support to the cross, while the Magdalen is seated mourning at her side. 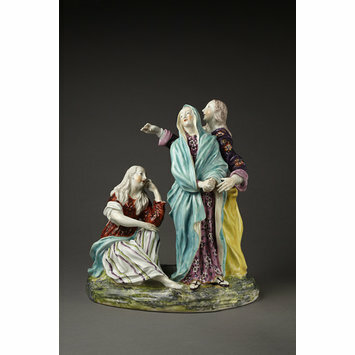 Purchased by Lady Charlotte Schreiber from Cavalle or Cavallo, London, for £12 10 shillings in August 1868. Bradshaw, Peter. 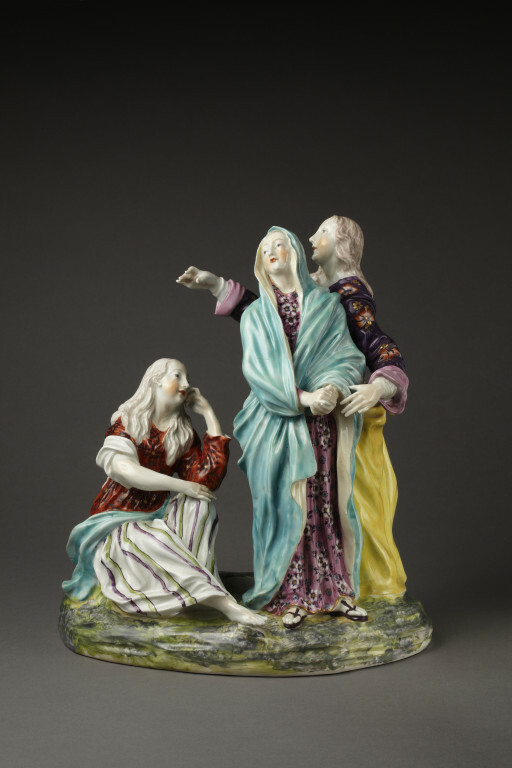 Derby Porcelain Figures 1750-1848. London: Faber & Faber, 1990. 138 p., pl. 120. Label - possibly after Le Brun.